The world feels a bit colder these days. To keep your hearts warm, Etui Records has opened the winter camp again. We invited artists from Australia, Italy and Germany to deliver a musical fireplace of dub and deep techno. The third installment of Etui Winter Camp starts with the laid-back moods of Answering No Questions by Matthias Springer and great rhodes sounds in The Receiver by Simon Mann. Dresden´s new artist Planetary Secrets dives into an ocean of chords with his They Have Been Here and Frank Hellmond shapes the dub house sound in his SH2000. Dandytracks of Vekton tell part 2 of their Dubstories About Us. With his Ascending new Italian artist Drafted proves that Detroit techno and minimalism is always a great combination. Planetary Secrets interprets also dub and techno in a minimalist way with his Courtyard. It´s followed by the fluffy The Wind Up from Sydney´s very own Trinity and the deep chords of Helly Larson´s Inside. At the end of this year´s compilation Etui Records label head Insect O. shows his love for hypnotic driven techno in his track Kondor and Melbourne´s Silver Ash spread some chord funk across the dancefloors with his Meranti. Can dub techno sounds happy? Of course! May the world feels a bit warmer with this. 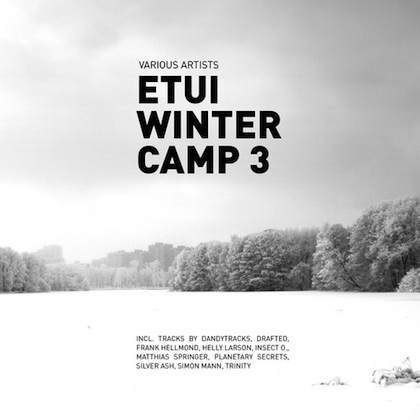 Etui Winter Camp 3 will be out as digital album incl. 11 tracks and special edition in white vinyl incl. 4 tracks limited to 300 copies. Insect O ‘Kondor’ is a killer. Cool collection of tunes.